Steff is one of the few professional Bubblologists in East Anglia, and so her Bubble Show is in high demand. The Bubble Show is created to show a progression from the tiniest bubbles up to enormous bubbles, with music and lighting to add to the mood. 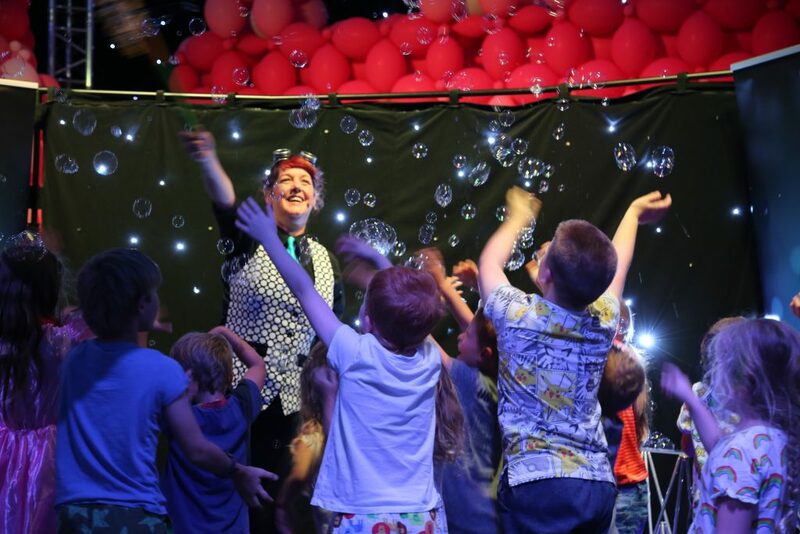 Watch as Steff creates bubbles of all shapes and sizes, with bubbles inside bubbles, smoke filled bubbles, magical bubbles – she even puts children inside bubbles! The show is very interactive and is suitable for all ages. Suitable for birthday parties, Christenings, weddings, theatre shows, holiday parks etc. Steff can combine the Bubble Show with party games, balloon animals etc to make a full party package. The Bubble Show has to be perfomed inside, as breezes, draughts and pollution all affect bubbles, and will prevent the bubbles from forming properly. 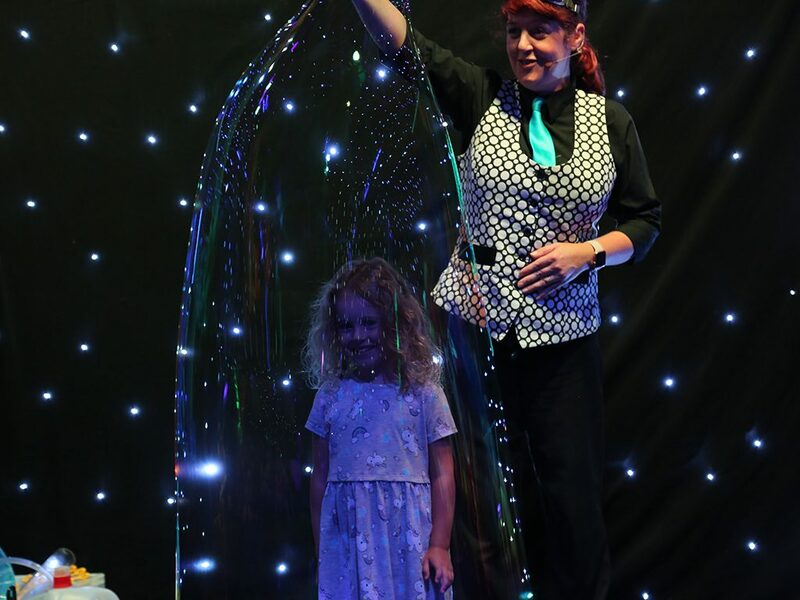 A village hall or theatre is the ideal setting for a Bubble Show as the high ceilings will allow for HUGE bubbles! Steff brings along everything she needs including waterproof flooring etc to protect the venue. If you would like bubbles outside in the garden, please look at our Outdoor Bubbles page for more information.